Net Sales are expected to increase by 11.5 percent Y-o-Y (down 11.6 percent Q-o-Q) to Rs. 177.7 crore, according to ICICI Direct. 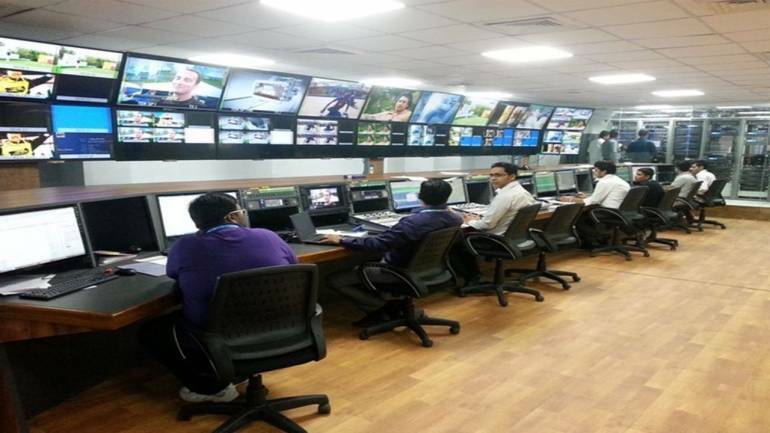 ICICI Direct has come out with its fourth quarter (January-March’ 19) earnings estimates for the Media sector. The brokerage house expects Entertainment Network to report net profit at Rs. 16.8 crore up 41.8% year-on-year (up 4.1% quarter-on-quarter). Earnings before interest, tax, depreciation and amortisation (EBITDA) are likely to rise by 28 percent Y-o-Y (up 12.4 percent Q-o-Q) to Rs. 45.3 crore. Disclaimer: The views and investment tips expressed by investment experts on moneycontrol.com are their own, and not that of the website or its management. Moneycontrol.com advises users to check with certified experts before taking any investment decisions. Shah Rukh Khan wants to make sand castles with Anupam Kher!